Never go thirsty with this Yuri on Ice Travel Cup! This acrylic cup holds up to 18 ounces of liquid and comes with a lid and straw. 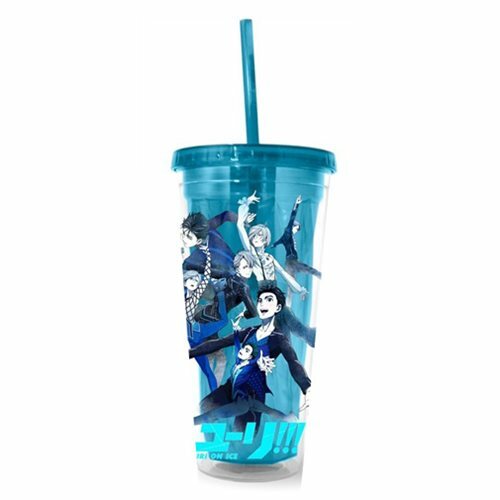 Featuring some of your favorite characters from Yuri on Ice, this clear travel cup is the perfect tool to have when you are on the go! Hand wash only. Not dishwasher safe. Do not microwave. Ages 14 and up.